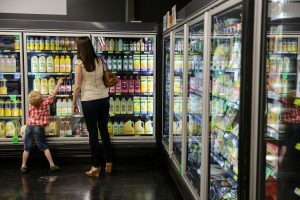 In Australia, the energy efficiency of refrigerated cabinets is currently regulated through the Greenhouse and Energy Minimum Standards (Refrigerated Display Cabinets) Determination 2012 under the Greenhouse and Energy Minimum Standards Act 2012. It is proposed to introduce changes to the regulation in a replacement determination. An exposure draft of the proposed replacement Determination has been prepared and stakeholder comments are being sought. The New Zealand Government is proposing to adopt changes to its Regulations, the Energy Efficiency (Energy Using Products) Regulations 2002, to align with the replacement Determination in Australia. adopt international test standards for all affected models. If you supply or use commercial refrigeration products in your business, you should review the exposure draft of the Greenhouse and Energy Minimum Standards (Refrigerated Cabinets) Determination and provide any feedback via a written submission. Further information on the consultation process, background papers and submission closing date can be found on the Energy Rating website. If you have any questions, please email energyrating@environment.gov.au (Australia) or regs@eeca.govt.nz (New Zealand) and use ‘Refrigerated Cabinets Determination’ in the subject line.